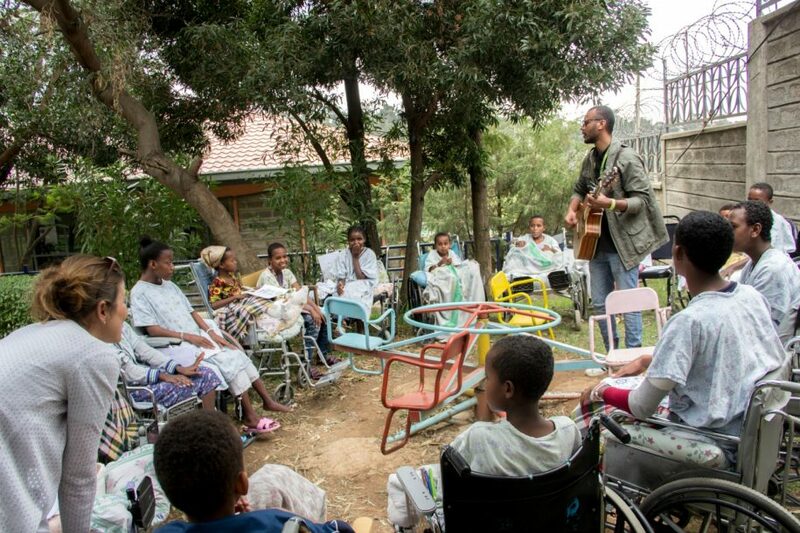 Many different people come to CURE Ethiopia to volunteer and help us in any way they can. 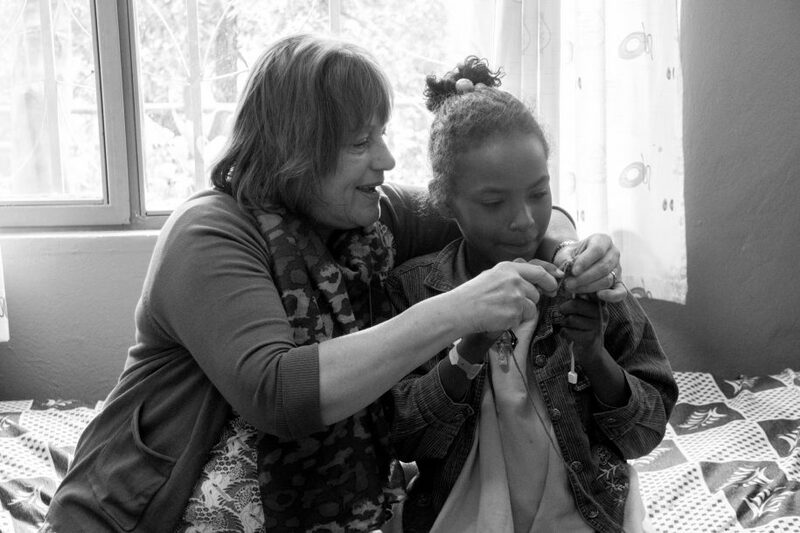 Today, we would like to introduce you to two women who volunteer at CURE Ethiopia. 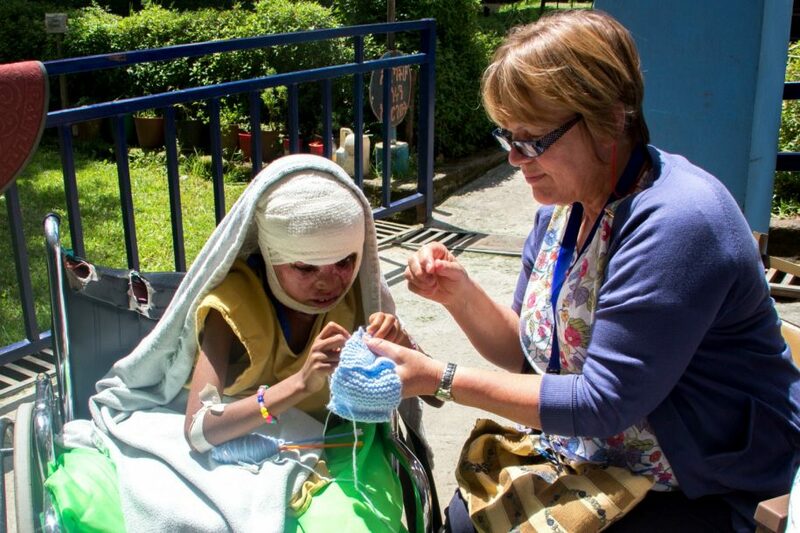 They come to the hospital to spend time with the children, teaching them different crafts, playing with them, and just making them happy! 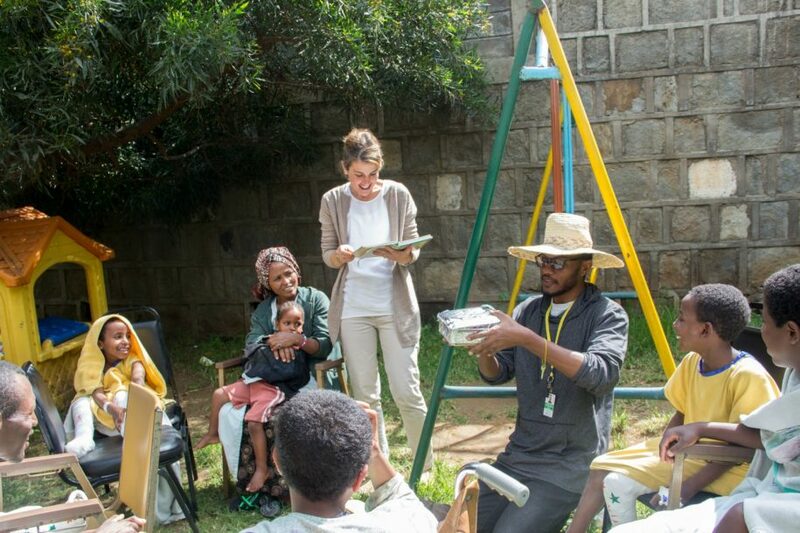 In their own words, each tells what it’s like to volunteer at CURE Ethiopia. “My name is Daniela Berger and, along with my family of six, I have lived in Ethiopia since the end of 2004. After living some years in the east of the country, we live currently in Addis Ababa, the capital. “I started volunteering at CURE Ethiopia at the beginning of 2016 through my dear friend Mary Bernard (Medical Director at CURE Ethiopia). 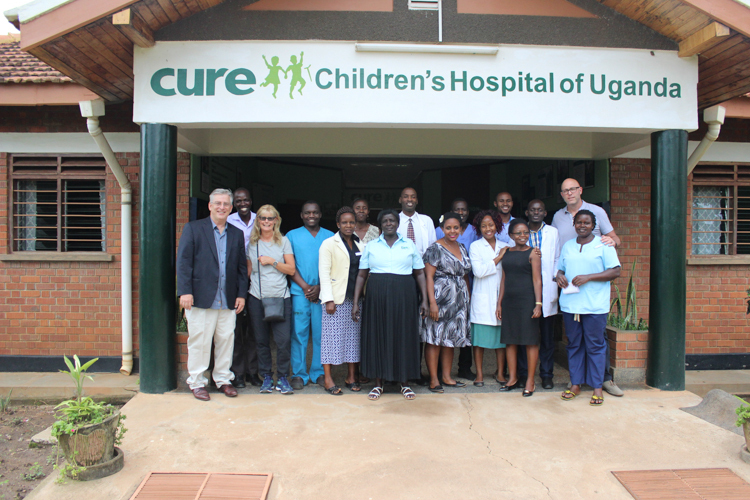 It’s been an absolute privilege to work with the children, caregivers, and CURE staff. 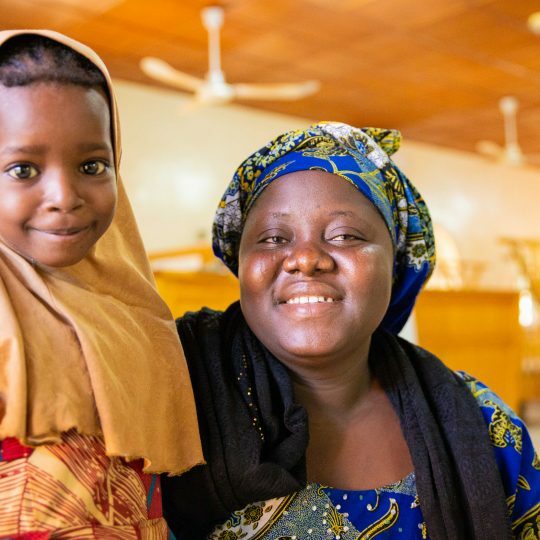 “We developed a curriculum and routine for the children’s program, and it’s been a joy to see how the children and caregivers are participating and “blooming” in it. The curriculum includes games to build trust and a sense of belonging. We sing interactive songs, learn from the truth that we sing, and encourage the children to teach these truths to family, school friends, and their communities once they return home. Biblical Storytelling with a drama or a visual aid is a big part of the morning. We are always encouraged by how the kids engage and by the questions they ask. “To finish our morning, we participate in art and play therapy, working with different materials and paint to create and explore. 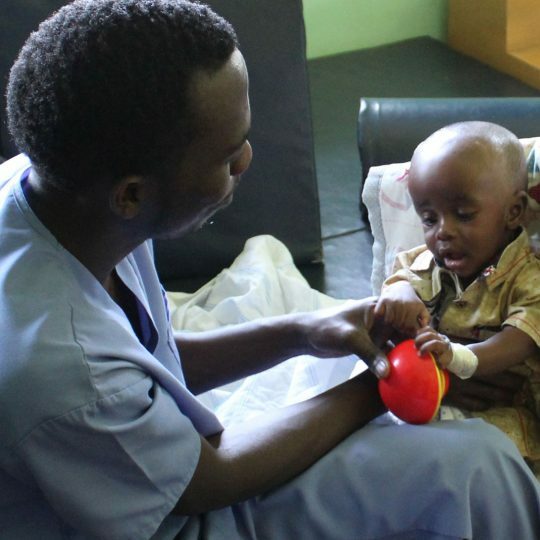 Long-term residents often start to teach the younger ones and those recently hospitalized. In our program, we celebrate and value the beautiful diversity of the many different backgrounds. The second volunteer we want to introduce is Mrs. Valerie Wilmshurst. Valerie has been coming to CURE Ethiopia with her husband, Dr. Andrew Wilmshurst, for four years now. Dr. Andrew treats kids who have cleft lip/palate. Mrs. Valerie spent her time doing crafts with the kids. “It is a privilege that I’m here, and it’s humbling because I see so many kids with so many disabilities. Some of the kids are brave, and some of them are shy and sad. The transformation is a gradual process. 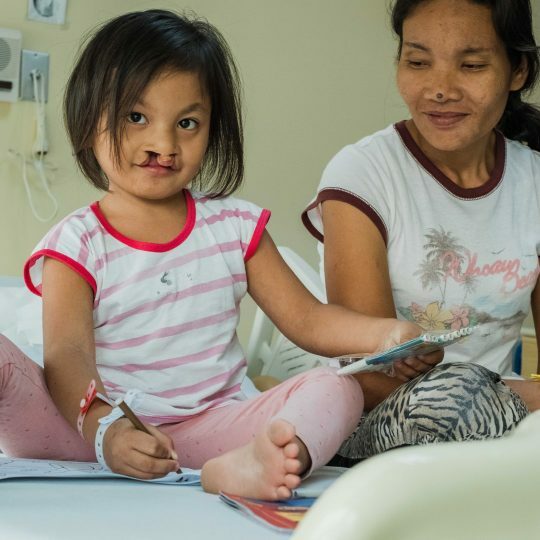 You can see every step as they undergo a physical change, especially with the cleft lip/palate patients. 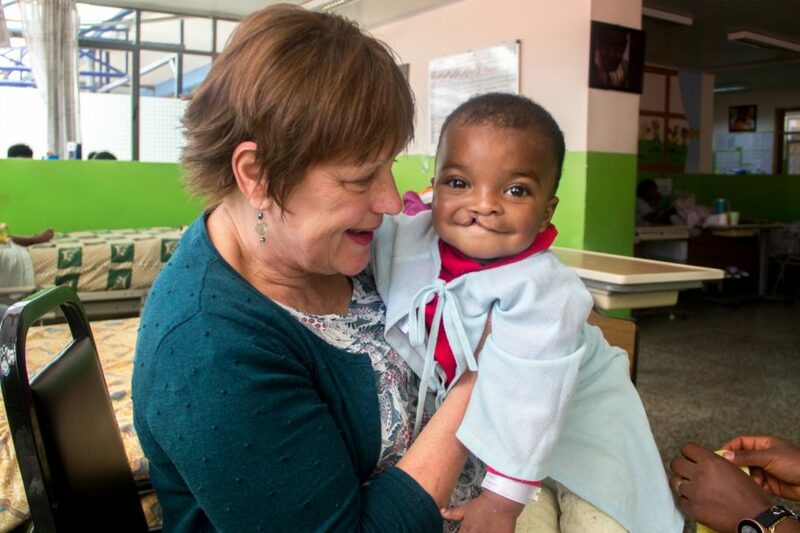 It is great to see the faces on the patients and their parents after the surgeries. “Sometimes it is difficult to put things in words. It is wonderful to see them get the help they need. Giving each patient special attention means a lot. The kids love making things, and it is fun to see them focused on something other than their problems. If I encourage them, it is fun for them, and it’s good for them to be occupied. It also makes them proud to see what they made. “We can learn a lot from the children; it is not just a one-way relationship. They give so much, too. They inspire us. They have been through a lot, and they still have a smile on their faces. Pray to God to help them. What do we get to complain about? They are going through a lot. 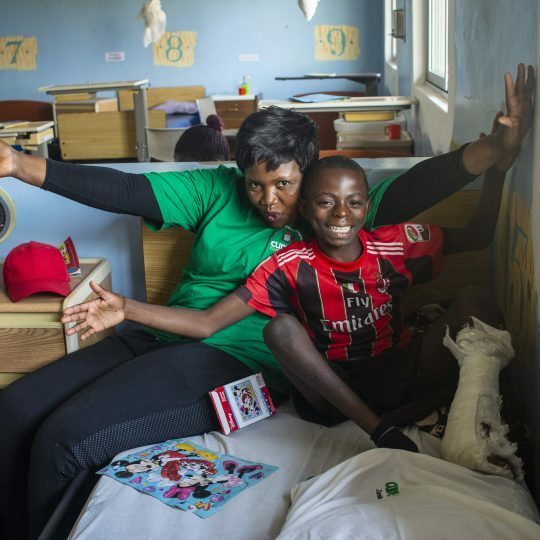 “You get to meet some of the stronger kids, and it is encouraging to see their improvement. They make friends and help each other, and it is really nice to see that. They see others and know that they are not by themselves, and God gives them strength. 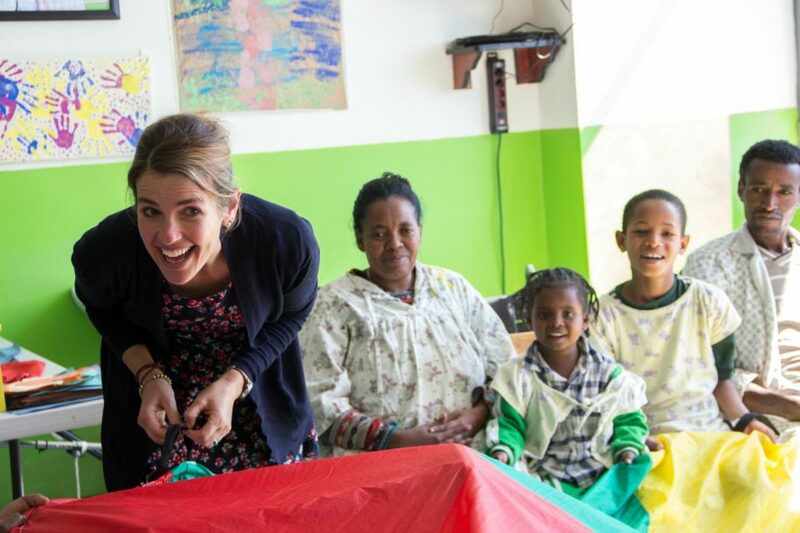 Thank you, Daniela and Valerie, for giving your time and talents to help the children at CURE Ethiopia!